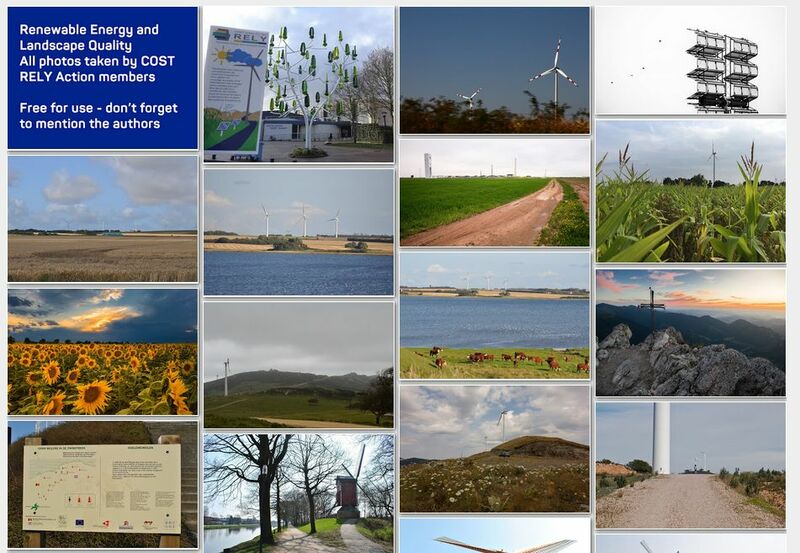 COST Action TU 1401- The main objective of the Action is to develop a better understanding of how European landscape protection/management and renewable energy deployment can be reconciled to contribute socio-environmentally to the sustainable transformation of energy systems. 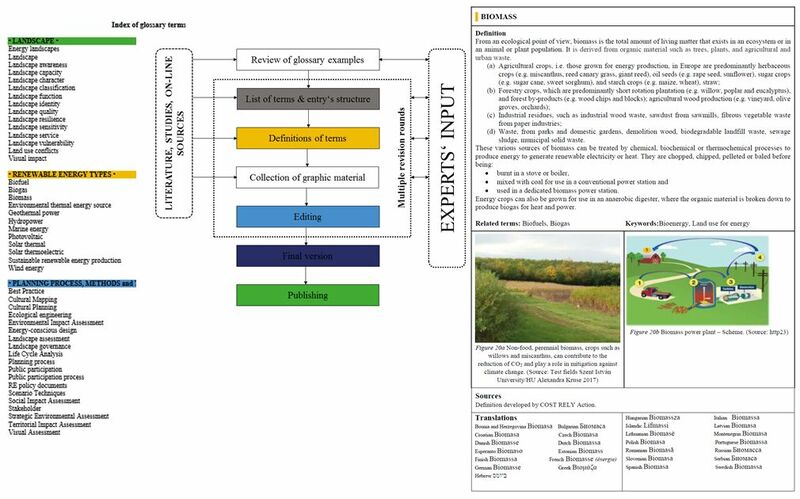 This Action investigates the inter-relationships between renewable energy production and landscape quality, and the role of public participation for the acceptance of renewable energy systems. 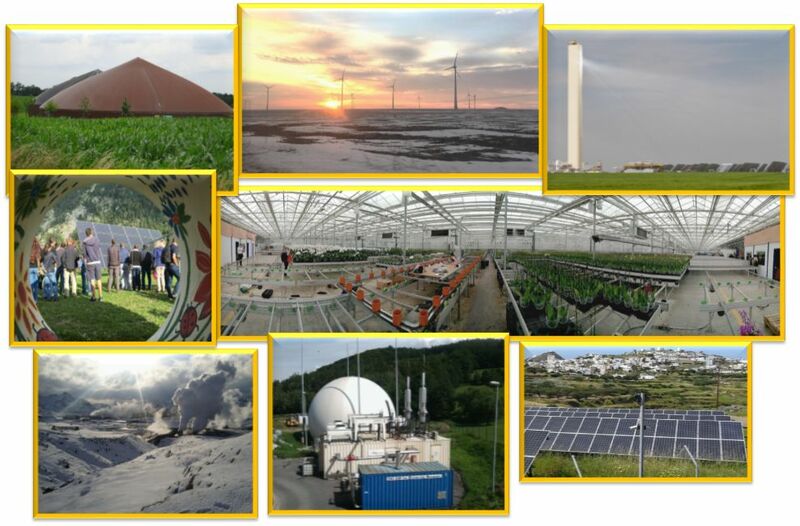 The Action will develop a better understanding of how landscape protection and management, and renewable energy deployment can be reconciled to contribute socio-environmentally to the sustainable transformation of energy systems. This Action will consolidate and extend knowledge from a pan-European perspective using a modular methodological framework. This Action will enhance the science base for decision-making, and develop guidelines for public participation in planning renewable energy systems. 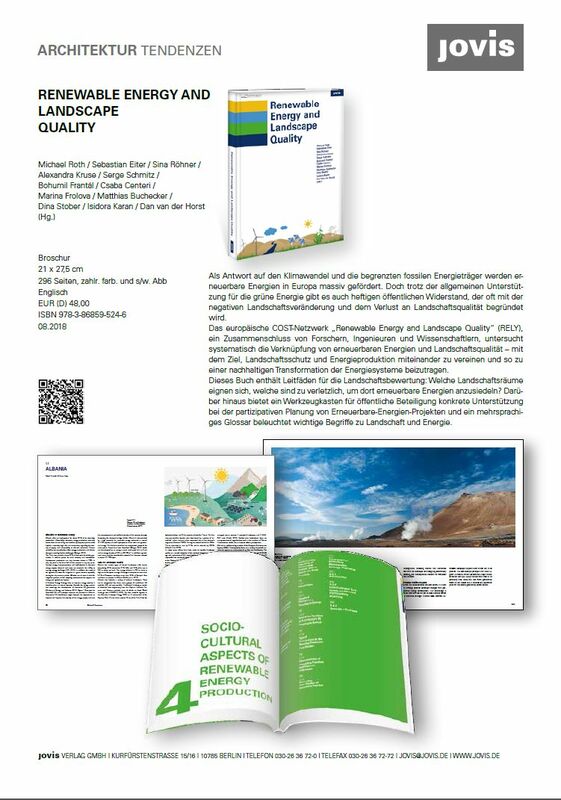 The potential of sustainable landscape development, with innovative land uses producing synergies for landscape quality and renewable energy, will be revealed. 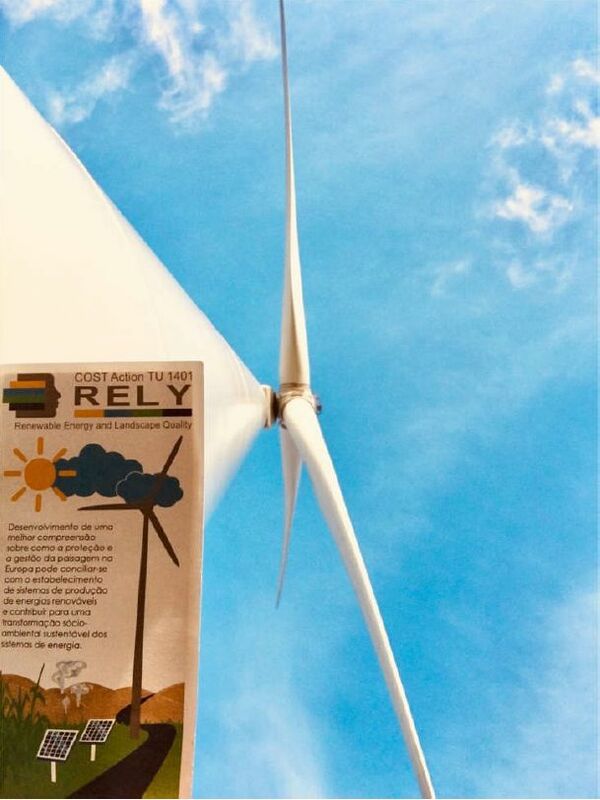 1st price of the COST RELY photo competition "Let the COST RELY Flyer travel" in 2018. The winning contribution was submitted by David Miller from UK. See some submission on our reflection page. communities, and developers to resolve landscape-energy conflicts is increasing. The outcomes, the synthesis of findings and dissemination will be presented on this homepage in the sections Activities and Oucomes during the project's lifetime. We received so many impressive submission to our two photocompetitions that we created also a new category: "Reflections". 1st price of the COST RELY photo competition "Reflections" in 2018: Béla Munkácsy with a motiv from Denmark and the following explanation: "The area in the picture is one of the windiest parts of the country, called Thy. It have not been installed big wind farms for 11 years here, as the local communities prefer smaller turbines and community based solutions. 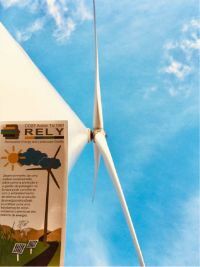 The tendency of growing turbines and increasing prices is not consistent with the local interest. The turbines in the picture are the rare bigger ones." 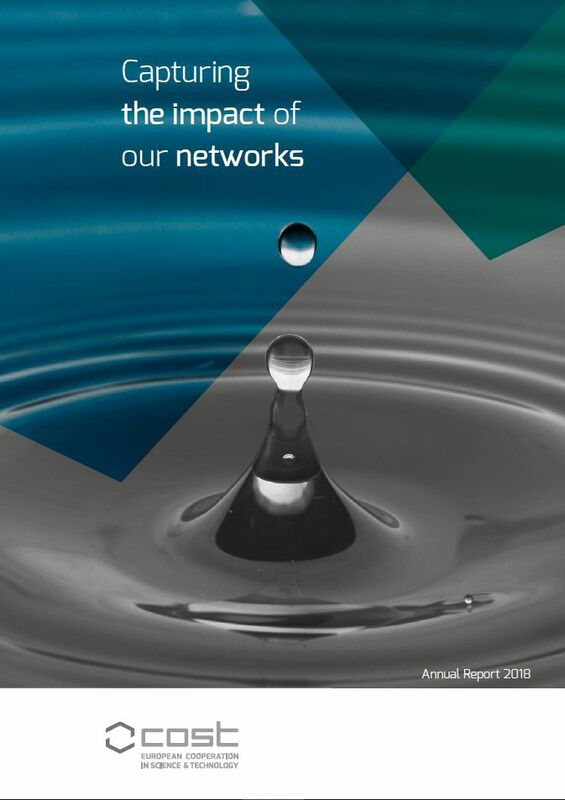 Check out our reflection page in order to get more impressions how interesting, sometimes even romantic but also divers and controversal renewable energies might be. 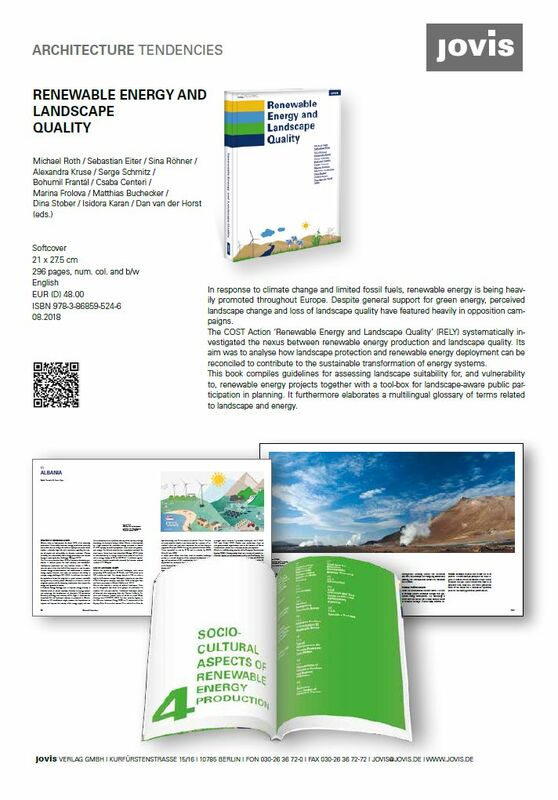 Let the Flyer travel - raise awareness on Renewable Energy and Landscape Quality. This is the motto under which the Action members always take their national Action flyers with them when travelling. The photo database contains the photos taken during the various project activities carried out from Portugal to Hungary, and from Greece to Iceland. 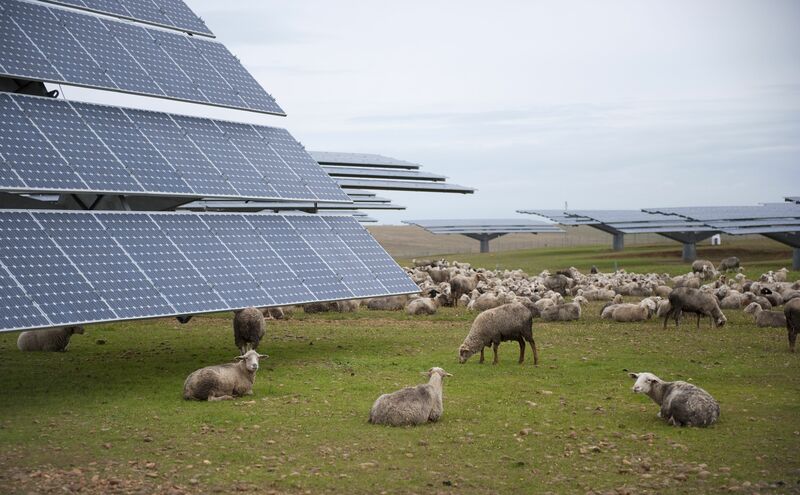 Some hundred photos have been chosen in all, representing a new reality of European Energy Landscapes, considering also the aspect of landscape quality. It is organised by country and by topic. The photo database will be available soon under outcomes.